A neighbor of the Shaer family who lost six members in a fatal fire: We're having a hard time digesting this terrible tragedy. 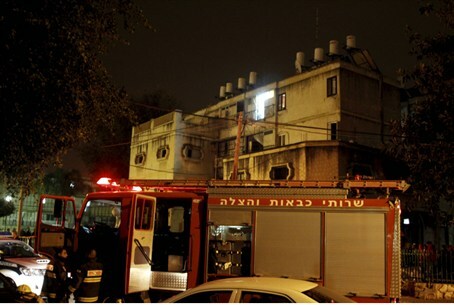 Residents of the Najara neighborhood in Rehovot were shocked and devastated on Tuesday over the deaths of six members of the Shaer family in a fatal fire on Monday night. 38-year-old Guy Shaer and his five children - Eliav, 11, Evyatar, 8, Amitai, 7, Shira, 3, and one-year-old Itamar – were killed in the fire that broke out in their home. They left behind Avivit, the wife and mother, who just last week lost her brother to cancer. Tam said he knows the Shaer family well, since the Najara neighborhood is a small one in which everyone knows everyone and residents support one another. Tam promised that the neighborhood’s residents will help the widow and bereaved mother, Avivit.